Earning just over $30,000 a year is enough to afford a house in some cities -- if you want to live in, say, Pittsburgh. This story has been updated since it was published on Feb. 25, 2015, to include five more cities. NEW YORK (TheStreet) -- Are you making enough money to afford a home in your area? In some areas around the country, earning little more than $30,000 annually may be enough to afford a house, whereas in other, more expensive areas, you will need almost five times as much. HSH.com, a mortgage research data Web site, analyzed fourth-quarter data to determine the minimum salary needed in order to be able to afford a home in the 27 largest metro areas in the United States. 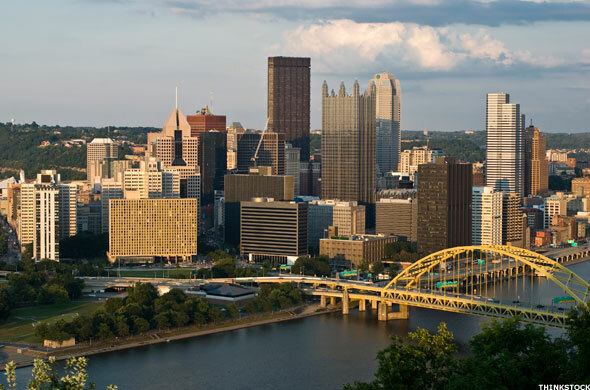 For the third quarter in a row, Pittsburgh was found to be the most affordable city in the country, with an annual median salary of just $31,716.32 needed to afford a home there. Those working in San Francisco need to make 4.5 times the amount that Steel City workers earn to afford a home. HSH.com used the National Association of Realtors' fourth-quarter data for median-home prices (single-family homes), as well as the average interest rate for 30-year, fixed-rate mortgages to determine the salary it would take to afford the base cost of owning a home (principal, interest, taxes and insurance) in the 27 metro areas. HSH assumed a down payment of 20% as part of its calculation. Here are the 15 cities where, even with a low income, you can still buy a house. 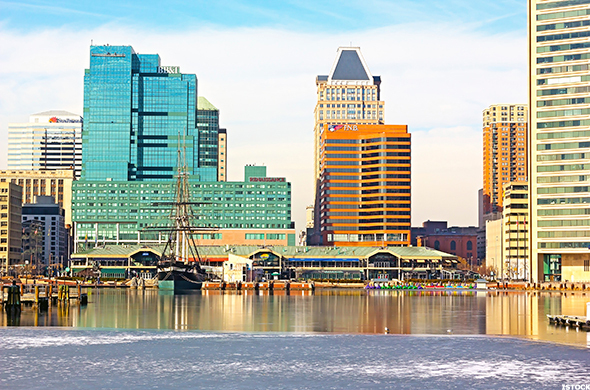 The mean annual wage for workers in the Baltimore-Towson, Md., metro area was $51,900, according to 2013 data from the Bureau of Labor Statistics. The 2013 median household income in Baltimore was $68,455, according to U.S. Census Bureau data. Major employers in Baltimore include Johns Hopkins University and John Hopkins Hospital and Health System, the University of Maryland, MedStar Health, and Constellation Energy (acquired by Exelon (EXC ), among others. The annual mean wage for workers in the Philadelphia metro area was $51,780, according to 2013 data from the Bureau of Labor Statistics. 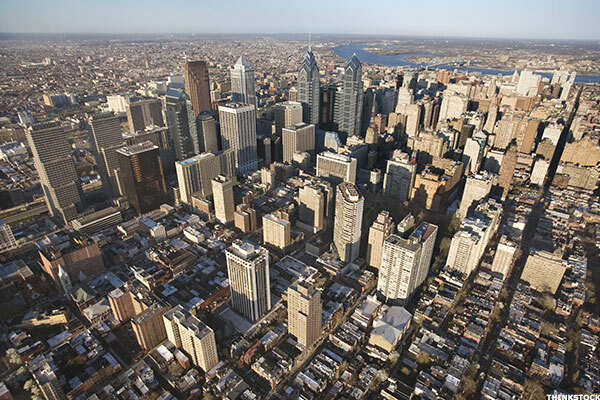 The 2013 median household income in Philadelphia was $60,482, according to Census Bureau data. Major employers in Philly include the University of Pennsylvania, Temple University, Comcast (CMCSA , and US Airways (acquired by American Airlines (AAL ), among others. The mean annual wage for workers in the Houston-Sugar Land-Baytown, Texas, metro area was $49,830, according to 2013 data from the Bureau of Labor Statistics. 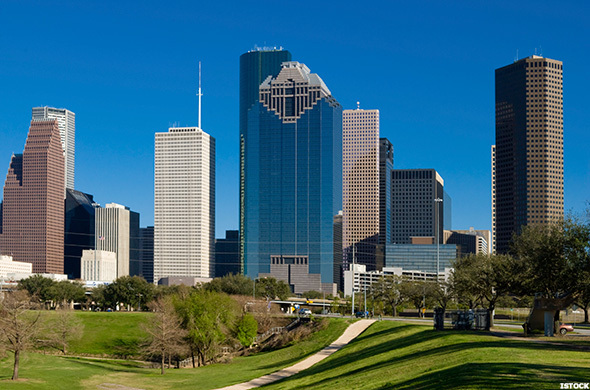 The 2013 median household income in Houston was $57,366, according to Census Bureau data. Major employers in Houston include Memorial Hermann Health System, the University of Texas Anderson Cancer Center, United Airlines (United Continental (UAL ), Exxon Mobil (XOM , Kroger (KR and Schlumberger (SLB , among others. The mean annual wage for workers in the Dallas-Fort Worth-Arlington, Texas, metro area was $46,800, according to 2013 data from the Bureau of Labor Statistics. The 2013 median household income in Dallas was $57,398, according to Census Bureau data. Major employers in the area include Texas Health Resources, Bank of America (BAC - Get Report) , American Airlines, Baylor Health Care System, Lockheed Martin (LMT - Get Report) , JPMorgan Chase (JPM - Get Report) and Texas Instruments (TXN , to name a few. 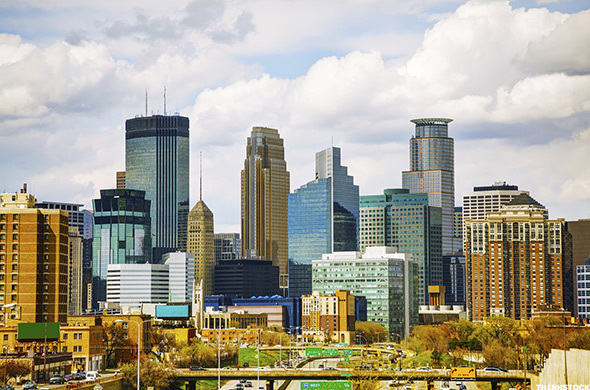 The mean annual wage for workers in the Minneapolis-St. Paul-Bloomington, Minn. (which also includes parts of Wisconsin) metro area was $51,050, according to 2013 data from the Bureau of Labor Statistics. The 2013 median household income in Minneapolis was $67,194, according to Census Bureau data. Major employers in Minneapolis include UnitedHealth Group (UNH , Target (TGT - Get Report) , Best Buy (BBY - Get Report) , Supervalu (SVU , 3M (MMM , CHS Inc., U.S. Bancorp (USB - Get Report) , Medtronic (MDT and General Mills (GIS . 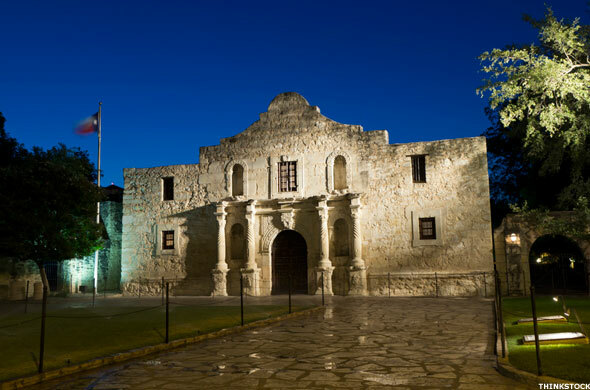 The mean annual wage for workers in the San Antonio-New Braunfels, Texas, metro area was $41,350 in 2013, according to 2013 data from the Bureau of Labor Statistics. The 2013 median household income in San Antonio was $51,176, according to Census Bureau data. Major employers in San Antonio include supermarket chain H-E-B, financial services giant USAA, as well as energy companies such as Valero Energy (VLO - Get Report) . 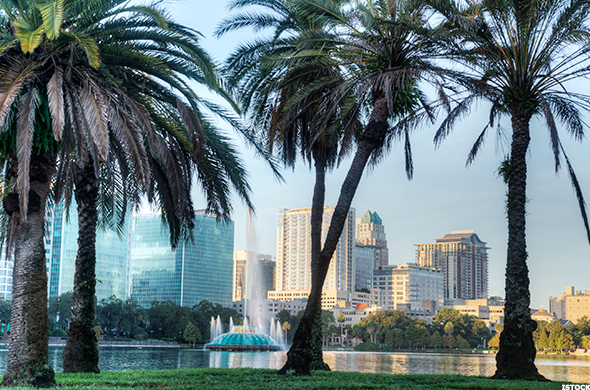 The mean annual wage for workers in the Orlando-Kissimmee-Sanford, Fla., metro area was $39,400, according to 2013 data from the Bureau of Labor Statistics. The median household income over the five-year period through 2013 was $42,147, according to Census Bureau data. Tourism is a big industry in Orlando with Walt Disney World and Universal Orlando employing nearly 90,000 in the area. Other big employers include the Orange County Public Schools and the Orlando International Airport. Darden Restaurants (DRI - Get Report) is also based in Orlando. The mean annual wage for workers in the Phoenix-Mesa-Glendale, Ariz., metro area was $45,680, according to 2013 data from the Bureau of Labor Statistics. 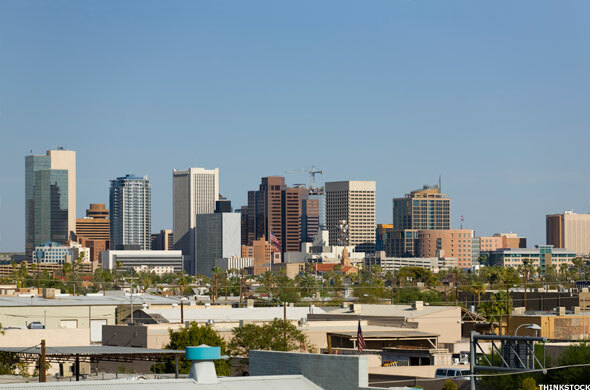 The 2013 median household income in Phoenix was $51,847, according to Census Bureau data. Some of the top industries in the Phoenix area are renewable energy, aerospace and aviation, emerging technology, manufacturing and business services. Large employers in the Phoenix area include Banner Health, Raytheon (RTN - Get Report) , Wal-Mart Stores (WMT - Get Report) and Wells Fargo (WFC - Get Report) , among others. Other companies based in Phoenix include GoDaddy, Intel (INTC - Get Report) and PetSmart (PETM . The mean annual wage for workers in the Tampa-St. Petersburg-Clearwater, Fla., metro area was $42,320, according to 2013 data from the Bureau of Labor Statistics. The median household income was $45,880 in 2013, according to Census Bureau data. Health care, financial services and retail are prominent industries in the Tampa area, with Citigroup (C , BayCare Health System, Publix Super Markets (PUSH , Verizon Communications (VZ and Wal-Mart Stores among the top employers. 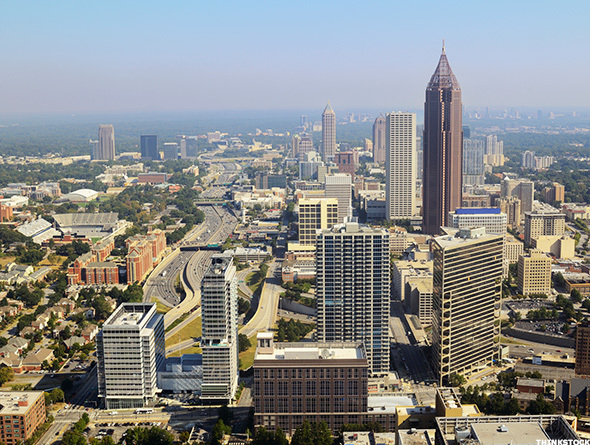 The mean annual wage for workers in the Atlanta-Sandy Springs-Marietta, Ga., metro area was $48,270, according to 2013 data from the Bureau of Labor Statistics. The median household income was $55,733 in 2013, according to Census Bureau data. The top employers in Atlanta include AT&T (T , Delta Air Lines (DAL , Emory University and several school districts. The mean annual wage for workers in the Detroit-Livonia-Dearborn, Mich., metro area was $49,080, according to 2013 data from the Bureau of Labor Statistics. Detroit's median household income was $51,857 in 2013, according to Census Bureau data. Auto manufacturing, health care and aerospace lead the area's job front. Detroit's largest employers include Fiat Chrysler Automobiles (FCAU , Ford Motor Co. (F , General Motors (GM , the University of Michigan and the U.S. government. The mean annual wage for workers in the Cincinnati-Middletown, Ohio, metro area, which includes parts of Indiana and Kentucky, was $45,510, according to 2013 data from the Bureau of Labor Statistics. Cincinnati's median household income was $34,116 for the five years through 2013, according to Census Bureau data. 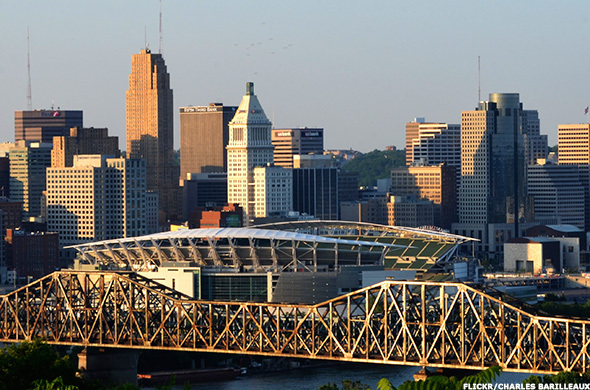 Industries such as consumer products, financial services and marketing services dominate in Cincinnati. The largest employers for the area include the Cincinnati Children's Hospital, Kroger (KR , Procter & Gamble (PG and the University of Cincinnati. The mean annual wage for workers in the St. Louis metro area, which also includes parts of Illinois, was $45,600, according to 2013 data from the Bureau of Labor Statistics. The median household income was $54,449 in 2013, according to Census Bureau data. 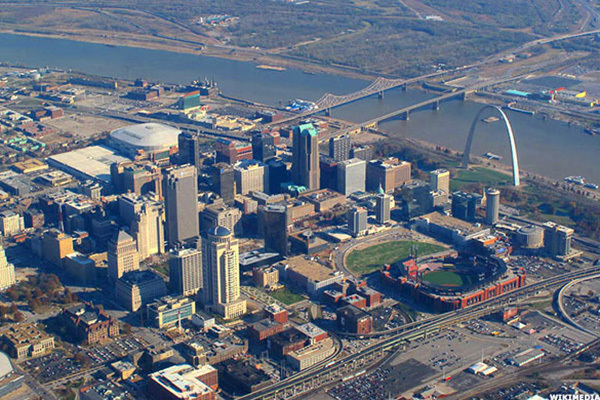 Large employers in St. Louis include BJC HealthCare, Boeing (BA , Scott Air Force Base, SSM Health Care and Washington University in St. Louis. The mean annual wage for workers in the Cleveland-Elyria-Mentor, Ohio, metro area was $45,380, according to 2013 data from the Bureau of Labor Statistics. The median household income was $26,217 in the five-year period to 2013, according to Census Bureau data. 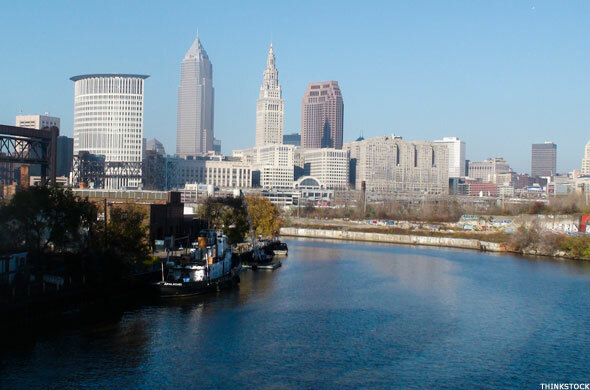 Cleveland's largest employers include the Cleveland Clinic, University Hospitals and the U.S. government. The mean annual wage for workers in the Pittsburgh metro area was $44,950, according to 2013 data from the Bureau of Labor Statistics. The median household income was $51,291 in 2013, according to Census Bureau data. Supermarket chain Giant Eagle, Mellon Financial (now owned by Bank of New York Mellon (BK ), PNC Financial (PNC , the University of Pittsburgh, UPMC Health System, the U.S. government as well as state government, and U.S. Steel (X are among the large employers in the area.